You may have already prepared your favorite football fan for the excitement of football season, but you’re not completely ready for game day unless you have some football flags and banners. As the cameramen scan the audience during the game, they look for fans displaying a football flag or football banners. These are not just the rudimentary homemade signs that kids make; they are the real fabric flags with screen printed logos or embroidered lettering. Are you ready for some football flags? Finding the right banners for your favorite football fan depends on how they plan to use them. Some of the most popular football flags and banners are designed to be flown outdoors on a flag pole, while others are more appropriate for the inside of a dorm room or sports bar. Still others are brought to the stadium or college football field and hung up over the railings or across the top of the stands. Sporting goods stores may tell you that they offer the best prices on football banners, but if you start doing some online research it is apparent how many manufacturers and distributors sell football banners for less. For something as specialized as a football flag, it rarely makes sense to shop at a sporting goods store because they don’t have enough space to sell every major team’s flags, and they rarely offer them at competitive prices. NFL football banners may look like a simple thing to buy, but the truth is they can be difficult to find. Many retailers stick to t-shirts, hats and sweats to help customers show their team spirit. Banners are something a little bit different. They are more difficult to display and often too expensive for fans to purchase them impulsively. When you purchase football flags, try to stay away from the roadside vendors or “unofficial’ sellers at the stadium. In most cases, these flags and banners will fade in the sun, or they will not last more than one season. The best place to buy a banner for your favorite team is to look online on the website of a reputable flag manufacturer. In addition to the size of the banner, you will need to know the teams your favorite fan supports. Don’t assume that just because he or she is a fan of NFL football that they will automatically support their local team. It’s not uncommon for Philadelphia football fans to support the New England Patriots instead of the Philadelphia Eagles. Other fans have been turned off completely by the overly commercial professional football teams and have committed themselves entirely to college ball. On the other hand, shopping online to buy football banners will yield a number of reasonable offers. The downside is you won’t be able to see the flag up close before ordering and may not realize how big or how small it really is. Some flag manufacturers specialize in smaller flags for cars, while others focus on large and extra-large banners. It helps to look at the web site and compare prices between one Flag Company and another. 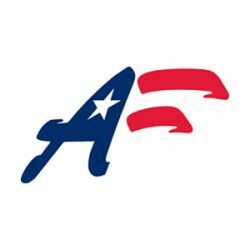 The Advertising Flag Company has a customer-friendly ecommerce site called FlagPro.com, which offers shoppers an unparalleled selection of flags from every major NFL, NBA and Major League Baseball team. They also sell an impressive variety of college football flags and banners, plus many other international, promotional and holiday flags for every possible need. 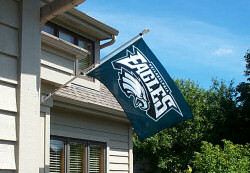 For football banners, sites like FlagPro.com have devoted their entire existence to the online shopper. An online shopper is more likely to buy in bulk and know exactly what they need. Buy football banners today at FlagPro.com.